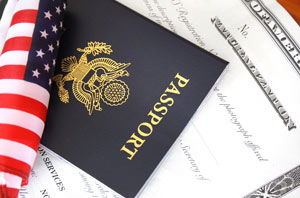 Naturalization is the process of becoming a U.S. citizen for a foreign born person. Citizenship is often a very important goal for many individuals living and working in the United States with a green card. The naturalization process can be incredibly complicated without the assistance of a knowledgeable immigration attorney. Mistakes or missed deadlines during the naturalization process can set you back and threaten your chances of attaining U.S. citizenship. An immigration attorney will expertly guide you through the long list of requirements, tests, applications, and other procedures to minimize the difficulties associated with the naturalization process. Acquire the right to vote and/or hold a public office position. Gain employment in some government jobs that are available only to U.S. citizens. The ability to live outside the U.S. for extended periods of time without losing U.S. permanent residence rights. Avoiding deportation as a precaution in the event of changes in laws, public policy changes or conviction of crimes. Gain certain tax benefits which apply to U.S. citizens and not to permanent residents. One must have resided in the U.S. for at least five years continuously as a permanent resident, or three years if an individual obtained his or her green card through marriage to a U.S. citizen and remains still married. The individual must have resided in the United States for 30 months during the past 5 years. Residence must also be physical presence. The applicant must be a person of good moral character during the statutory period of required residence (5 years or 3 years if married to a U.S. citizen). The applicant must pass a U.S. government and history test. The applicant must be able to speak, read, write and understand basic English. The applicant must express allegiance to the United States government. It is important to note that these are not the only reasons good moral character might be found lacking, they are just specified ones. Also, the inquiry into good moral character is not necessarily confined to the 5 year period preceding the application. The applicant will likely have to explain and produce documentation about any prior arrests, regardless of how long ago they were. Further, crimes that are not listed above can still be a ground for removal. Therefore even if a crime is not listed above, I.N.S. can place the applicant in removal proceedings and deny the Naturalization Application because the alien is in proceedings. It is therefore important to consult a licensed practitioner if there is any question about prior crimes before applying for naturalization and risking being placed in removal. There are several benefits to be derived from American citizenship, but there are also some detriments to the unwary applicant. Applicants should carefully ensure they meet the requirements for naturalization, especially in the case of criminal history, before deciding to apply. Contact us to see if you are eligible to become a U.S. citizen by speaking to a qualified attorney about your case.